A 15 year old boy in school uniform. 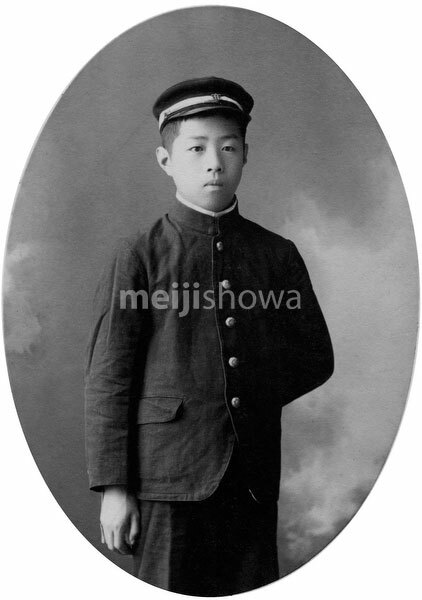 The inscription on the back reads: Ishibashi Kotaro, 15 years, 2 months. May, Meiji 40 (1907). Kyoto. The same person also appears in photos #70203-0001 and #70203-0006.